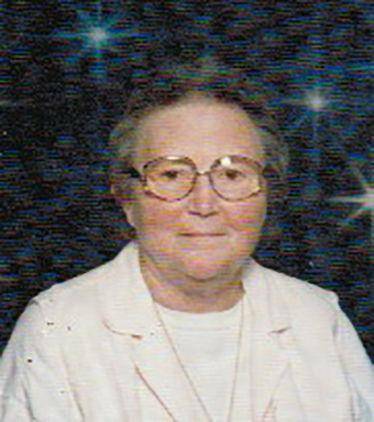 Margaret Elaine Jedele, age 88, of Stryker, Ohio, formerly of Tecumseh, Michigan, passed away March 21, 2019. Margaret was born Dec. 23, 1930, in Detroit, Michigan, the daughter of Charles and Elsie (Nordstrom) Thomas. She lived in Michigan until 1969 and then moved to the Bryan/Stryker, Ohio, area where she married Max Jedele, who preceded her in death in 1984. She was a beloved wife, mother and grandmother that loved planning family gatherings. She will be sadly missed. Margaret is survived by her children, Kathleen Kopke-Arnold of Macclenny, Florida, Sharon Kopke- Gyurnek of Bryan, Ohio, Jeff (Pam) Kopke of Perrysburg, Ohio, Denise (Jedele) Larry Maugherman of Edon, Ohio, Mike (Jody) Strahle of Bryan, Ohio, Woody (Vickie) Holcomb of Sherwood, Ohio; sister, Nancy Kies of Moscow, Michigan; 18 grandchildren; and 28 great-grandchildren. In addition to her husband, Max, she was preceded in death by her parents; sisters, Pat Rutherford and Betty Tirb; brother, Bill Thomas; nephew, David Brooks; and granddaughters, Jennifer Branch and Cara Kopke. Funeral services will be 11 a.m., Thursday, March 28, 2019, at the J. Gilbert Purse Funeral Home, Tecumseh. Burial will follow in Brookside Cemetery. Visitation will be 1-8 p.m. Wednesday, March 27, 2019, and one hour prior to the service on Thursday. Memorial contributions may be made to Heartland Hospice of Perrysburg, Ohio. Condolences to the family may be made online at www.pursefuneralhome.com. Be the first to comment on "Margaret Jedele (1930-2019)"